That's probably my most photographed location in Kaohsiung city - Lotus Pond. I live very close to it so a walk with a camera in my palm is often a good option. It's in the north of the city. In Tsoying district. 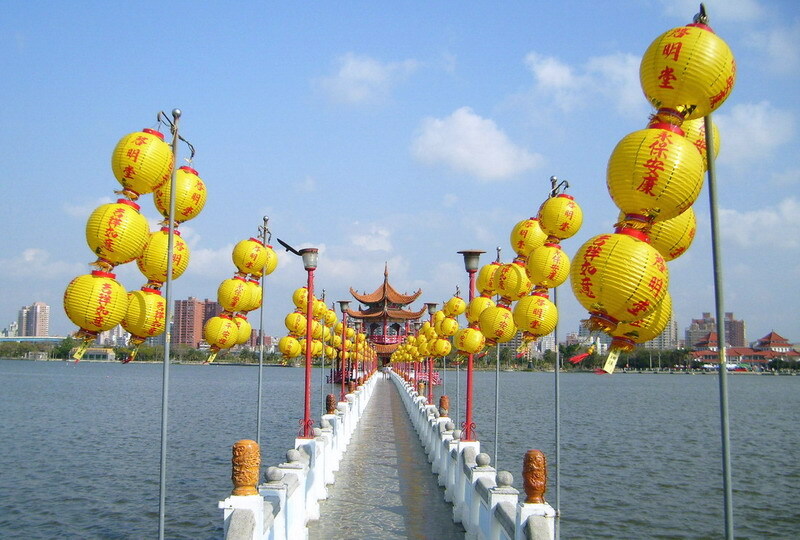 Lotus Pond has got many pagodas and temples. Great place to hunt for some photos.